You can have a lovely home with beautiful décor but after spending Winter locked away, you might feel like both your home need to focus on well-being. 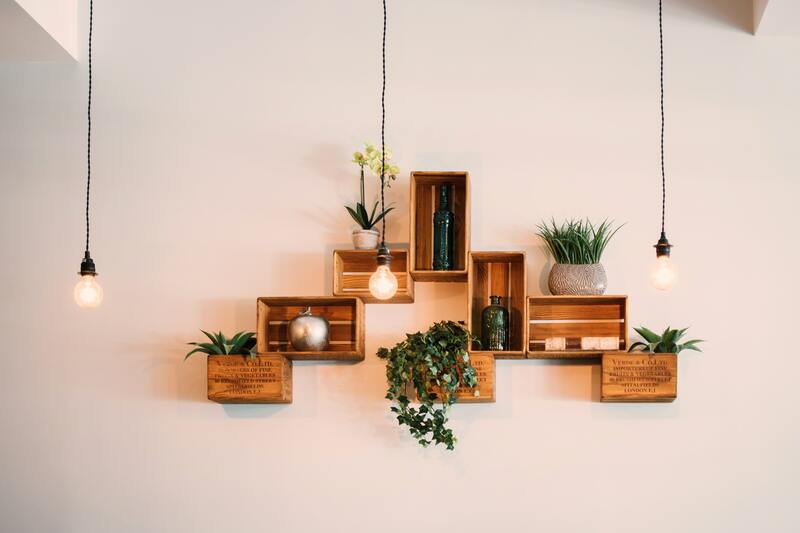 You can have a lovely home with beautiful décor but after spending Winter locked away, you might feel like both you and your home need to focus on well-being. If you follow these tips, you’ll feel healthier and happier and your home will look and feel great, too! The living area is one of the most important rooms in the home as, for many of us, it is a space in which we spend much of our time – especially if you’re fond of binge-watching good tv. Air is something we can’t see, which is why it's easy to forget that air quality can have an impact on our health. One way to enhance the air in your home, and create a calming environment at the same, is to invest in some indoor plants. Peace Lillies are a gorgeous addition to any home and are reportedly one of the most efficient plants at removing Volatile Organic Compounds (VOC). They’re also easy to look after – just place them in a darker corner of your living room, water it once a week and voila! You have a thriving little plant that helps purify the air you breathe. While the plants enhance the air quality, they can’t do much good if you haven’t dusted in a while. 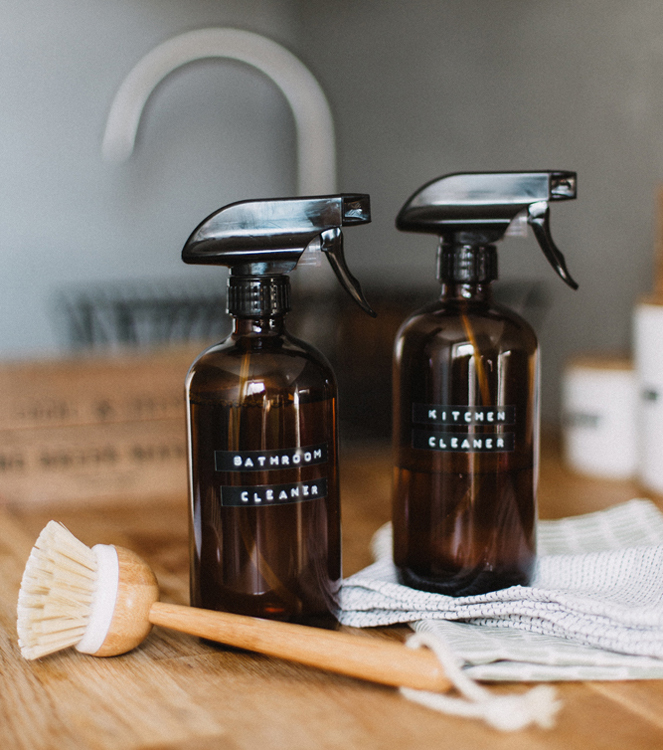 Dust and grime can collect in all the nooks and crannies of your home, and with hayfever season upon us it is more important than ever to ensure you rid your home of dust bunnies. The last thing you should pay attention to is lighting. If your home has bright ceiling lights, buy a floor or table lamp so you can shift to soft lighting in the evening. A cozily lit home is a soothing place to relax both your body and your mind. Did you get into some bad habits over Winter? It was too tempting to order Uber Eats instead of walking to the supermarket in the rain, but now that we’re well and truly into Spring, it’s time to start cooking healthier food again. The best way to avoid the temptation to order takeaway food is to ensure your pantry and fridge is well stocked. By doing an inventory, you can work out what you have and what you need for the week ahead, then you’ll have no excuses when it comes to cooking a healthy meal. If time is an issue for you, sign up for one of the free meal kit deliveries. HelloFresh and Marley Spoon are two great companies that deliver fresh ingredients to your door. These meal kits don’t just save you time – they also introduce you to a variety of new and exciting recipes that are easy to follow and rarely take more than 30 minutes to cook. Bathrooms are meant to be sanctuaries where we take care of ourselves. And yet many of the cleaning products we use in there contain chemicals that can have a negative effect on our bodies. Try introducing eco-friendly products to your home. Earth has a great range and can be found at any major supermarket, or else you can find alternative Australian brands at specialty stores. Better yet, you can even make your own cleaning products. You might use baking soda in cakes but it is actually a magical ingredient you can use in a variety of combinations to tackle anything from clogged drains to mould in the shower and for cleaning grout. You can even sprinkle some around the toilet and it will absorb odours. Never underestimate the importance of sleep – and we mean quality sleep. Many people struggle with getting to sleep at night, and this is for any number of reasons. We know now that using any technology in your bedroom at night can disrupt the biological signals that tell your body it’s tired. So, if you’re struggling to nod off at night, make sure you eliminate all sources of technology from your bedroom. Some people even recommend not looking at a screen for up to two hours before you are due to go to sleep. Maybe you fall asleep fast, but wake up a lot. Have you invested in a good mattress? It can be tempting to save money when it comes to buying mattresses and bedding, but it is vital to ensure your body is well supported throughout the night.